For project 1 we will be using a microwave to make fused glass jewellery pieces. You will be able to observe the transformation of glass and glass cutting techniques will be demonstrated. You will have the opportunity to experiment with a variety of glass materials including frits, confetti, glass powders and even melting stringers over a flame. In project 2 you can create either a small wall hanging, coasters, a mirror frame or a wind chime. 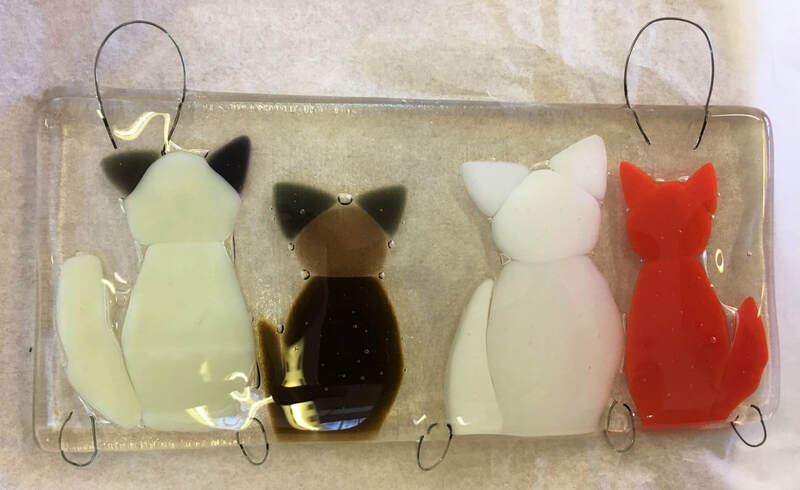 In project 3 you will learn techniques to design your own sheet of art glass. This will then be used to form a slumped bowl or platter. Suitable moulds will be discussed and prepared for this process as the technique will include two firings. Projects 2 and 3 will be taken away for firing in a kiln and will be returned to the school for you to collect after the course. Materials are not included in your course fee. All materials will be provided by the tutor. The approximate cost of these will be £35-£45, which includes all firing costs. This is payable to the tutor during the course.